For my first post in the Ms New Brunswick series, I want to introduce you to this fearless girl. If young women in our province feel supported and empowered enough to take on projects like these, then we are doing something good here. Let's keep it going. Please meet Avery. I don't even know where to begin with Avery. She is quite honestly one of the most unique and inspiring people I have had the pleasure of speaking with. She epitomizes the notion that if there's a will, there's a way, and her story should encourage anyone looking to make something happen for themselves. Last year Avery started making lip balms at home after becoming interested in DIY makeup, thanks to YouTube. 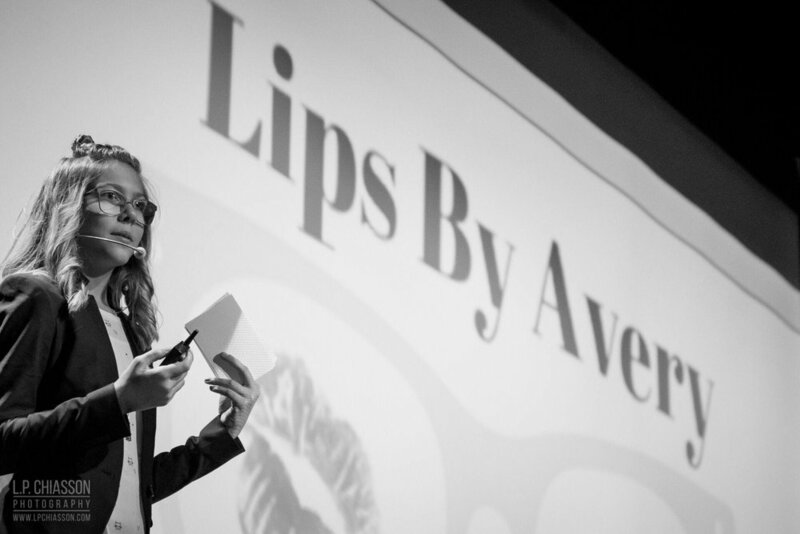 After some encouragement from her Dad, she launched her own business: Lips By Avery. At the ripe age of 13, she has been in business for almost a year and has had massive success. I first reached out to Avery on Facebook. At 11pm I sent a message to her business page explaining who I was and asking for an interview for this project. The next day around suppertime she responded to me saying, "I apologize for the delay! Since I am younger I have to go to school :)". I found that extremely endearing and also hilarious. Of course I knew she was young, but it was just so funny that she felt she needed to explain responding to a middle of the night email a day later. I shouldn't have been though, Avery is in every way a professional. I was watching alot of YouTube videos and I thought, ‘I could do that’, so I went into our kitchen and took some crayons and coconut oil melted them together and poured it into an old lip balm container. I started experimenting with eye shadows for coloring and kept watching YouTube videos on how to make lip balms. My Dad was the one who suggested starting a business. It was 7pm or 8pm on a school night last January, and I remember my Mom was calling me to get to bed, and my Dad was whispering to me to follow him. He took me to the computer instead and we started researching and buying supplies online. What happened when you decided to make it a business? Well my first batch was terrible. Just awful. But we kept trying different combinations and I changed to a different lip balm base and things started to get a lot better. I knew right away that I wanted my lip balms to be skinny jean friendly so right from the start I had designed my tubes to be oval instead of round so that they don’t stick out when they’re in your pocket. I started handing them out to family and friends and teachers at school and stuff and pretty soon I was basically taking orders. Everyone told me that they loved them. Has your product changed at all since you’ve started? Oh yes. In the beginning I started by using just coconut oil as the main ingredient, and then a pre-made lip balm base and I would add essential oils, scents and color. I started to learn so much about making lip balms I didn’t need the pre-made base anymore. Now it’s my own recipe and I do it all myself. It’s a secret all-natural recipe but it has coconut oil, beeswax, shea butter and it takes way more time, but the lip balms are so much better now. Has your community been supportive? Oh yeah. People tell me all the time they are proud of me and they love my lip balms. When I started to sell in a few shops, I would deliver 15 tubes to each store and always my local store (The Titusville General Store) would sell out the same day I would drop them off. People would see them there and buy all of them. People message me all the time and say they never can find them there because they sell out so fast. My friends and teachers and parents are all really supportive, everyone loves what I’m doing and wants to help me. That’s how I heard about the Youth Entrepreneurship Challenge, my teacher Madame Dalton told me about them and said I should apply. So I did. Oh well we applied when Madame Dalton told me about it and I was so nervous and I had to wait for an email to find out if I got in. The date they said that they would email me passed and I was so upset because I didn’t hear anything, and then the next day when I came home from school my Mom told me, “guess what, you got an email” and I GOT IN!! They sent me the email a day late, so I was so happy when I got it. The Challenge was really crazy, I was up against all these people with awesome businesses and ideas and some of them are way older than me. I won regionals at Planet Hatch in Fredericton so I got to go to the finals at the Delta Moncton where I had to pitch in front of 300 people. I was so nervous and there were so many great people there. But I won first place and I couldn’t believe it and I even got an investor at the awards! The Youth Entrepreneurship Challenge is a bilingual province-wide competition rewarding entrepreneurial spirit in all youth (K-35). Avery was up against some huge talent, and her win is a major deal. She competed in the 'Summer Venture' category. You can read more about the competition here, and if you know a youth that fits the bill, they are accepting applications for 2018 through the end of February. What are some difficulties you’ve experienced since starting? Well some people have complained about my prices ($5.00 a tube if you’re wondering), and sometimes people will tell me I’m too young to have a business. My Dad is really good at making me feel better. Both my Mom and Dad are really helpful and encouraging and even help me with my business. The hardest part of running a business for me is the accounting and bookkeeping. It’s really hard to keep track of invoices, sales and inventory and I wish that I had learned more in school about accounting. Have you had a hard time juggling school, family and your business? Not really. My whole family is really involved in my business, and they all help me. I still have to go to school and focus on my homework through the week, but my business hasn’t cut into the time we spend together as a family. We have a granny suite in our house with a kitchen and all my business stuff lives there. Sunday is lip-balm making day. We put on some music and we all hang out together and make lip balms! We work for about 6-7 hours on Sundays and we can make about 180 lip balms. My business wouldn’t really work without my family so it’s actually a way we spend time together. What are some things that WE can do to help you or other girls like you who want to start their own business? I really wish there was an after-school club or class that taught the basics of operating a business. Even if it was just hearing from business owners in our community once a month and some simple accounting help. I just wish that there were some resources for kids about that kind of thing. I have even looked for some and haven’t found anything, and I know lots of kids would want to do that! 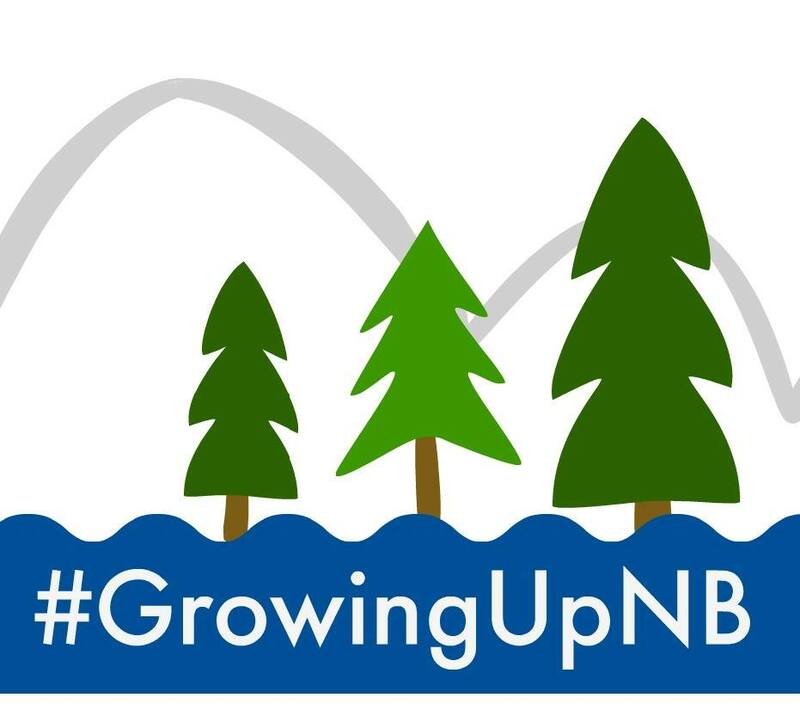 When I was in Moncton for the Youth Entrepreneurship Challenge I noticed that some of the other participants knew a lot more about that and had more resources in their schools and stuff to help with learning about business and I wish I had access to that. What is your advice to other women/kids starting their own businesses? Where can we buy Lips by Avery? Titusville General Store, Guardian Drug Store, Cochrane’s, Kini Wellness in Moncton and I am really excited because pretty soon 16 Kent stores in Atlantic Canada will be carrying my lip balms. You can also order off of my Facebook page by clicking ‘shop’. I hope that if you learn nothing else in this post, you understand the immense and obvious (to me at least) impact that Avery’s parents have had on her. Christie & Brian MacArthur have raised a confident, curious and smart girl and they’ve encouraged her to think big despite her age. I think what impresses me the most is how they have offered her guidance and support while also ensuring she pursues this independently. They treat her as capable, while offering help and reassurance when she needs it and that has had a huge effect on her. She knows she can do this, because they know she can. And she is doing it. A freaking 16 store deal with Kent’s, are you kidding me?!? !